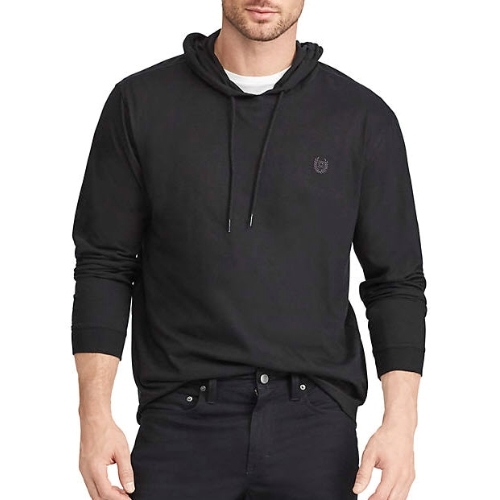 This hoodie is crafted from soft cotton jersey and finished with a signature embroidered Chaps laurel wreath for an iconic look. Pullover. Drawstring hood. Long sleeves with ribbed cuffs. Signature embroidered Chaps laurel wreath at the left chest. Knit fabric. Machine washable. Cotton. Imported.